How desperate are you to catch your favorite sport's team's latest score or trade? If you're willing to give up sneaking off to a bar during lunch to see a game or anxiously flipping through channels to keep tabs on simultaneously broadcast games, read on. New technologies--including mobile apps, streaming Web video and social networks--can help make satisfying your sports fanaticism a lot easier. If you're not ready to splurge on an HDTV (or if you're fed up with your cable service provider), you can still get a pretty good sports-watching experience from your Web browser. For instance, MLB.TV lets you watch every regular baseball season game online live or on demand in HD quality. For $30 a year ($35 a year for the premium service), MLB.TV delivers features such as in-game highlights and stats, full game archives, a fantasy player tracker, condensed games, and the ability to stream on multiple devices. And with the premium service, you can watch multiple games at once (in split-screen or quad view). 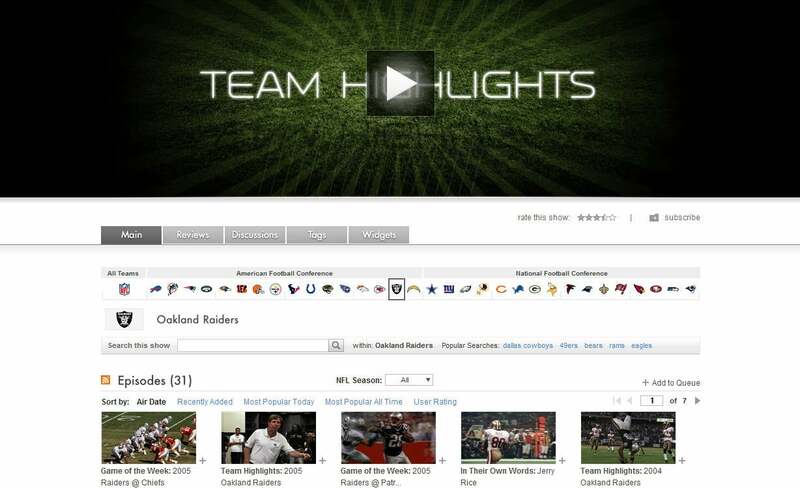 NFL Team Highlights from Hulu. For fans who just want game highlights, Hulu has a number of free sports channels.The NFL Team Highlights channel archives classic games, plays, and bloopers from your favorite teams. Sports history nerds will especially dig the older NFL films from the 1960s and '70s. Hulu's sports channels are pretty diverse, ranging from the World Wrestling Entertainment's Friday Night Smackdown replays to Camp Woodward's channel for skateboarding and BMX (bicycle motocross) to the Inside Golf Magazine channel. Google's Team HTC-Columbia app in action. Web services aren't limited to video, either. During this year's Tour de France, cycling fans working at Google (and apparently there are quite a few, including an ex-pro) created a nifty Web app to let fans track Team HTC-Columbia during the race. The developers created an app for the riders (each of whom carried an HTC Legend smartphone) that tracked their location, power, heart rate, cadence, and speed during the race. Users could then go to Google Maps and see where they were during the race and to view the other data. Once an extreme niche activity for sports stats enthusiasts, fantasy sports are now a mainstream activity across the United States. According to the Fantasy Sports Trade Association, there are 27 million U.S.-based fantasy sports players. And fantasy sports is estimated to have a $3 billion to $4 billion impact across the sports industry. In fantasy games, players draft their own teams based on athletes' projected performance, and then compete against friends, family members, coworkers, or complete strangers in leagues where the winning team is determined by the athletes' actual statistics in real games. Though football, basketball, and baseball remain the most popular fantasy sports, leagues for other, more obscure sports are popping up as well. There's even fantasy U.S. figure skating league! Yahoo, ESPN, and CBSSports are the most popular destinations for joining such leagues, but a slew of other sites offer their services, too. Smartphones and the thousands of mobile apps that have emerged to work with them have changed the way we do many tasks--from discovering new music to gaming to making to-do lists. Mobile apps for sports let you keep track of multiple games' scores while on the go, and several also provide live video. In fact, some of the very best mobile apps are sports-related. 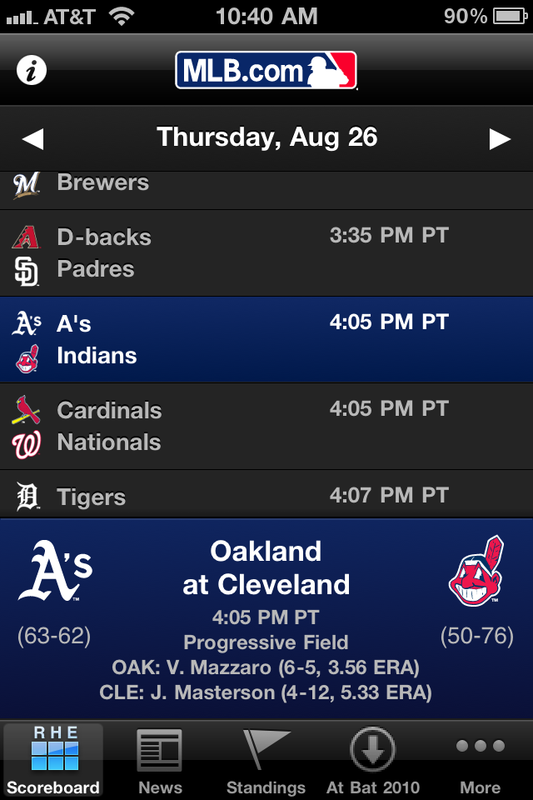 MLB's mobile app for baseball is available in versions for iPhone, iPad, BlackBerry, and Android. Many sports-related apps are available, and some of the best come from the sporting organizations themselves. The official MLB app, for example, is a must-have for baseball fans. Macworld editorial director Jason Snell says that the iPhone and iPad versions of the app have "changed baseball for me." He uses the app on the iPad to call up stats and box scores during games and to play back highlights of any plays he may have missed. The MLB app is available for Android and BlackBerry, too. And you don't need a smartphone to keep track of your favorite team: As long as you have mobile Web access, you can check out scores, schedules, team rosters, league news, and photos, simply by going to http://wap.mlb.com in your phone's browser. The official Tour de France app for 2010 from the Versus channel was expensive at $15 but totally worth the price for cycling fanatics. Fans could track their favorite cyclists, check on the weather in France, and receive alerts whenever something exciting was happening during the race. And by purchasing the "official" app, you could get live video of the race delivered to your phone. Most broadcast networks have their own apps too--for example, NBC's UniSports Mobile app for the iPhone and mobile Web, and the U.K. network Sky Sports' Live Cricket Score Centre app for the iPhone. For Olympics aficionados who miss the games during the off-years, the UniSports app tracks track and field, cycling, swimming, beach volleyball, gymnastics, figure skating, and many other Olympic sports. Developers have created a multitude of excellent unofficial apps as well, and many of them are free. SportsTap for iPhone and SportsTap for Android for example, is an incredibly comprehensive app that provides scores, stats, and highlights across many different sports and leagues. These days, it seems as though every professional athlete has his or her very own Twitter account. Sure, they can be a bit silly or mundane at times. For example, Shaquille O'Neal, one of the pioneers of celebrity Twitter accounts (The_Real_Shaq), is fond of tweeting inspirational quotes--penned by himself. But diehard fans should keep an eye on the microblogging site for breaking news and real-time updates from their favorite athletes. Cyclist Lance Armstrong announced his retirement (again) via Twitter exclusively. And many Tour de France riders tweeted updates and photos during the ride, giving fans a first-hand perspective on the race. Some athletic organizations and athletes even hold contests through Twitter accounts. The Women's Rugby World Cup, which ends on September 5, is offering the chance for fans to win two tickets to the final in England and an official match ball if you tweet your semifinalist predictions @rwcwomens. "Liking" team fan pages on Facebook is an easy way to score exclusive ticket offers and merchandise. These pages are also a good place to connect with other fans and comment on the latest games, trades, or controversies. A solid sports-friendly HDTV should have a refresh rate of up to 120Hz so it can display fast-moving action without any fuzziness or blurring. It should be able to handle horizontal and diagonal pans smoothly. Other bonus features to look for are the ability to pause live TV (if you need to go out on a beer run and don't want to miss a play) and a strong set of speakers. What about 3D technology? 3D mania may have overtaken the tech world, but mainstream consumers haven't embraced the technology beyond seeing a 3D movie in a theater. Bringing 3D to your home is a big investment: You have to buy a 3D-capable TV, one or more pairs of 3D glasses, and a special Blu-ray player. If you're a dedicated sports fan, the price might be worth it. In June, ESPN launched an all-3D channel, available on DirecTV, Comcast, and AT&T U-Verse. Unfortunately, 3D is available only for special events, and the channel's 3D schedule is pretty limited. But then again, wouldn't it be cool to see next year's X Games in 3D? How do you watch your favorite sport when you're not near a TV? Have any good sport apps, services, or Websites to recommend? Viewing tips for fellow fans? Sound off in the comments below.